Our Anderson Mill location is off Highway 183 and Anderson Mill Rd. in north Austin beside the Austin Aquarium. We opened the first Anderson Mill school in 2003, but in 2015 moved to a location with more visibility and easier access a mile down the road. 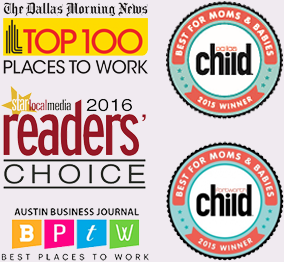 We’re proud to serve the communities of northwest Austin, Round Rock and Cedar Park. Darcy loves children! At the age of 10, she completed her first Safe Sitter course and started babysitting. In elementary school, Darcy began playing volleyball and softball. Her love of playing these sports continued throughout her academic career, and even extended to coaching! Given her athleticism and skill, she earned college scholarships to play both sports. After earning a degree in Business Education from Oakland City University, Darcy taught high school for 7 years in Kentucky and Indiana. Ten years ago, Darcy moved to Texas. 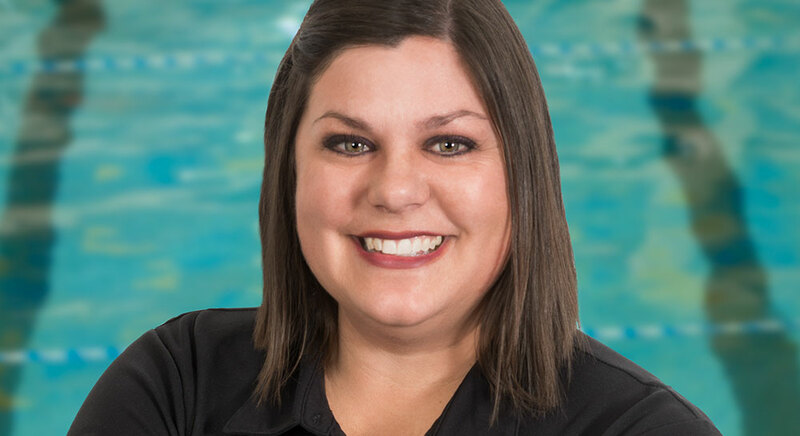 She began her career with Emler in 2014 as a Customer Service Manager, and was then promoted to Site Director in the fall of 2017. She has been married for 11 years and has a 7 year-old daughter. Darcy’s fun-loving nature means she’ll usually answer in Disney Princess song form when asked a question. Since she’s generally viewed as “everyone’s mom”, her team has lovingly given her the nickname of Mom-Moana… and recently attributed the name Edna Mode (from The Incredibles) to her as well, based on the similarity of the character’s hairstyle to her own! My favorite part of coming to work is getting to talk with the parents, play with the children and show love to our staff. What makes me a great site director is my genuine care/concern/love for the people in this building. As a first birthday gift to my nephew, I purchased swim lessons for him. In Indiana at the time, only the local YMCA offered lessons. I still have the photo of the two of us on his first day of lessons! My daughter’s fifth birthday party was held here at Emler. My favorite memory was to watch her swim freely, comfortably and safely! The huge relief of seeing her swimming that day made the experience of what we do here at Emler so much more personal! When I was 8, I learned how to skate since it was very popular with the boys in our neighborhood. I had pretty good balance, but there was one time that I fell off the skateboard as I was going down a big hill. I hit my head on the concrete, and an ambulance rushed me to the hospital. I ended up being fine, but the doctors advised my parents to monitor me for concussion. The next week, I was back on a skateboard again, trying to move past my nervousness! See What Our Parents Are Saying.